Copyright © Curtis Perry on Flickr. All rights reserved. 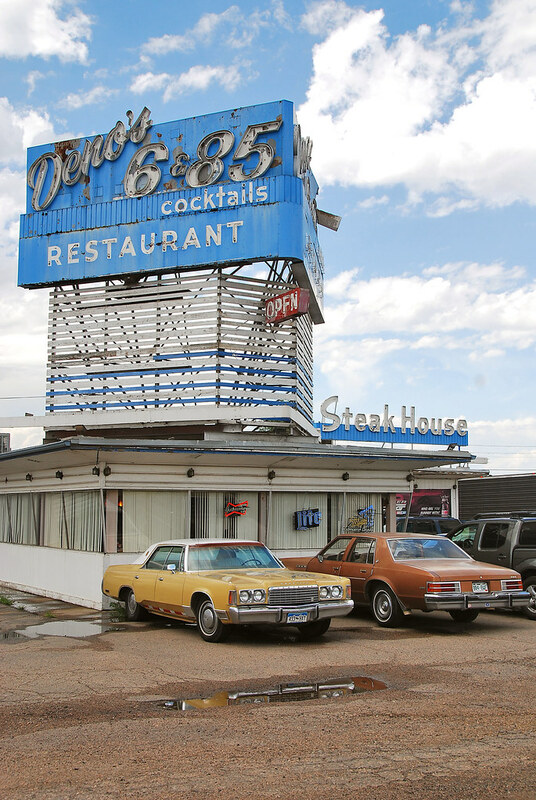 Posted in Retro/Vintage, signTagged Americana, CanAm Highway, Denver, dining, food, Front Range, Grand Army of the Republic Highway, neon, nostalgia, restaurant, Route 6, Route 85, steak house, steakhouseBookmark the permalink. Nothing Says Quality Like the ’60 De Soto!